A cool new audio interview just popped up from Cardboard Republic with Sen and I being the interviewees! We talk mostly about our new Orphan Black game, how we came to be the designers of it and the entire design process. We also touch on our ‘famous’ MVP philosophy that we have always followed and recommend to others wanting to succeed at game design. Check it out here (our bit starts at 20:18). Orphan Black: The Card Game is Dice Tower Approved! Well this is certainly some good news! 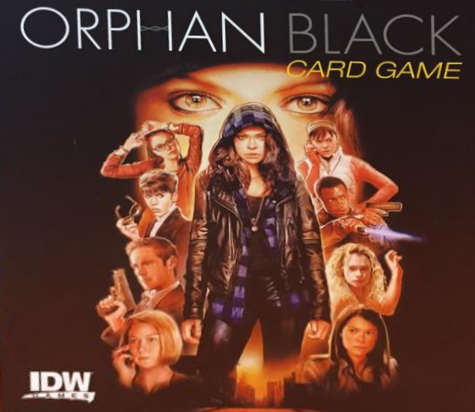 Tom Vasel from the Dice Tower has just posted his overview of the rules as well as his thoughts on our new game, Orphan Black: The Card Game…and (spoiler)…he liked it!!! It’s Dice Tower approved! Thanks Tom for the kind words!